Not everyone is the same as me. 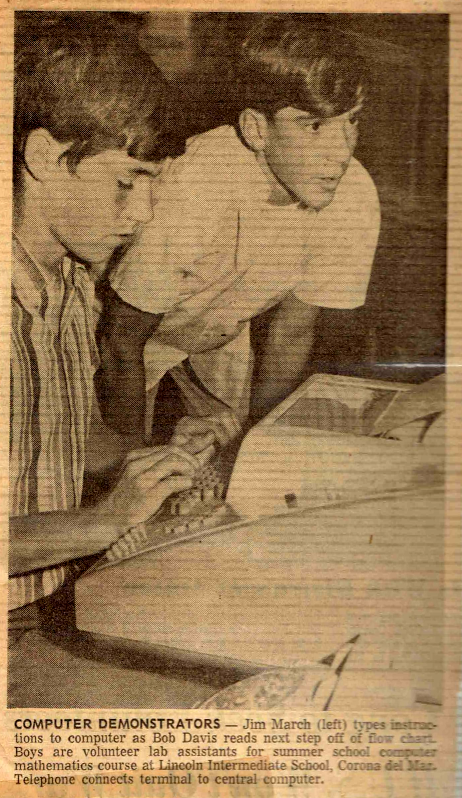 Fifty years ago I learned QuickTran, a derivative of Fortran. 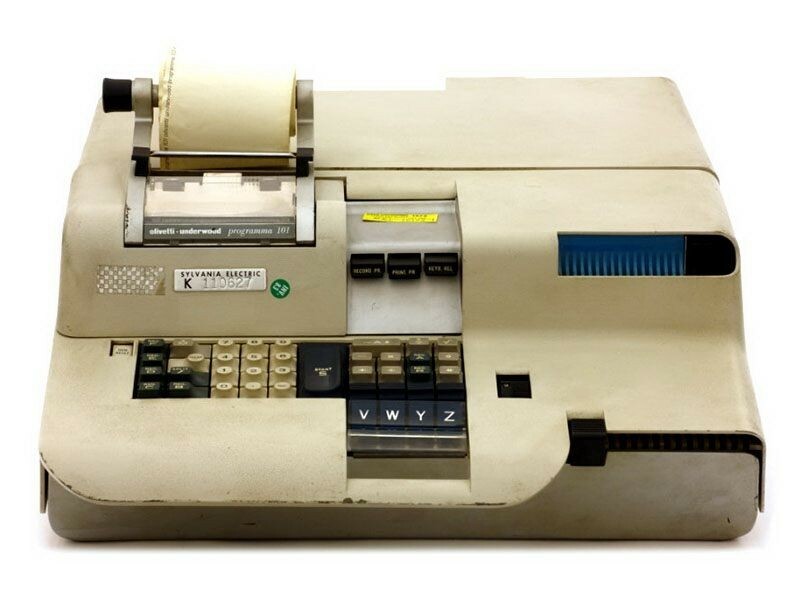 I typed my program on a teletype, creating a paper punch tape, which was fed to a 300 baud (30 characters per second) modem, to a computer some 50 miles away. I also learned to program the Olivetti Programma 101, the first desktop computer. All programs for the 101 had to be no more than 120 instructions long. And the programs were saved on an early version of a floppy disk that looked more like a floppy card. The world continues to change. If I don't know more than the person teaching me, I'm getting behind. I don't worry that the teacher doesn't know the answer. That is to be expected. I learn how to find the answer myself, and know that my answer will get outdated as soon as I've learned it. Living with change is a challenge. But rapid change also means untapped opportunities. Remember the saying, "When one door closes, another opens"? Well, now it's more like, "When one door closes, look for the new house!" Change means new doors opening in whole worlds that didn't exist before. I found something I was passionate about. I was passionate about computers, how they worked, why they worked, what I could build with them. My passion guided me when I had difficult choices to make. Choosing my passion meant my work was its own reward. I let my passion change as my life experience changed me. When I was 14, my passion for computers was all about me, what I could do. In many ways, my passion was an addiction. As I got older, I found that wasn't enough. My passion shifted to helping others, using computers to help others. I let the passions of my younger days be replaced by my passions for family, career, and the world around me. By shifting my focus to helping others, my self-serving computer addiction grew into a tool to help improve the world. Change means learning, I have to keep learning. Learning means making mistakes, mistakes are how I know I have something to learn. Making mistakes means being wrong, which is discouraging and is painful to my self-esteem. So, if I want to change, to keep up with change, then I have to get used to making mistakes. I still have an unbridled enthusiasm for the future of computer technology. I hope the high school students got a taste of that from "the old man with gray whiskers". The challenges of today are bigger and more difficult than ever, and will require a generation committed to change and learning in ways I will not understand. I have confidence that the connectivity offered by the Internet will provide the foundation for the collaboration and cooperation that will be needed. We've come a long way since the paper punch days of 30 characters per second! 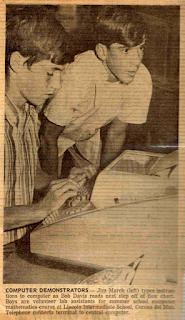 Fifty Years in Computer Technology web site with links to events that shaped my life with computers.